Stanislav Ioudenitch, Artistic Director of Park International Center for Music (Park ICM), announced today that his protégé, Behzod Abduraimov, will return to Kansas City on September 28th, following rave reviews at the Hollywood Bowl in July. In a review of the concert, The Los Angeles Times reported, “Uzbekistani pianist Behzod Abduraimov is fast becoming one of the finest musicians of his generation.” The Los Angeles Times has also been quoted as saying of Abduraimov, “He has fingers that seem as though they were made to create rainbows.” High-res photos can be found here. The 27-year-old Park ICM alum made his splash in the piano world in the usual way, by tackling the big Russian piano concertos under his master and mentor, Ioudenitch. Abduraimov’s captivating performances continue to receive international praise. Following his debut success at Carnegie Hall in 2015, recent seasons have seen Abduraimov work with leading orchestras worldwide including performances in London, Paris, Los Angeles, New York and Moscow. An award-winning recording artist, he released his first concerto disc in 2014 on Decca Classics which features Prokofiev’s Piano Concerto No.3 and Tchaikovsky’s Concerto No.1 with the Orchestra Sinfonica Nazionale della Rai under Juraj Valčuha. His debut recital CD won both the Choc de Classica and the Diapason Découverte. Born in Tashkent, Uzbekistan, in 1990, Abduraimov began to play the piano at the age of five as a pupil of Tamara Popovich at Uspensky State Central Lyceum in Tashkent. He now serves as Artist-in-Residence of Park University’s International Center for Music. Also on the program will be the Park ICM Orchestra performance of Mozart’s Divertimento in D-major, K. 136, and Britten’s Simple Symphony. Behzod Abduraimov with the Park ICM Orchestra concert tickets available at icm.park.edu/events-performances/. Parking at the Graham Tyler Memorial Chapel is free and readily available on campus. Those who need assistance will be transported directly to the chapel entrance. For this performance, Student tickets are available for visiting students for $10 (with valid ID, one ticket per ID). Park University students are admitted at no charge. General admission tickets are $30. All tickets may be purchased in advance at icm.park.edu/events-performances/ or at the door prior to the performances based on availability. The Box Office opens 30-minutes prior to all performances. Receive updates by joining Park ICM Facebook at www.facebook.com/ICMPark and following @ICM_Park on Twitter. 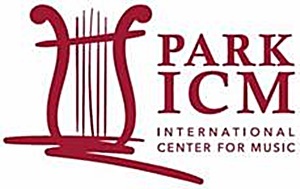 Park ICM has seven different offerings at the 1900 Building this coming year for classical music lovers, all of which have incredible musicians coming to Kansas City from the world stage. As a part of the season and for the first time, four-selected guest artists, Vladimir Viardo (piano), Shmuel Ashkenasi (violin), Dang Thai Son (piano), and Irina Muresanu (violin) will be presenting an “educational” component as part of the concert. Those in attendance will get to observe and listen to the interaction between a master artist and a gifted ICM student in the preparation and performance of repertoire performed as part of the evening’s program. It’s an exclusive and rare opportunity to hear these world-class musicians in performance as well as coaching students in a concert format before an audience. Friday, September 28, 2018 / 7:30 p.m.
Friday, November 16, 2018 / 7:30 p.m.
Friday, March 1, 2019 / 7:30 p.m.
Friday, April 12, 2019 / 7:30 p.m.
All Park ICM Chapel Series Concerts are held at the Graham Tyler Memorial Chapel at Park University, Parkville, Missouri, 8700 NW River Park Drive, Parkville, MO 64152. Behzod Abduraimov concert tickets available at icm.park.edu/events-performances/. All other chapel performances are complimentary admission and open to the public. Visit www.icm.Park.edu/events/ for more information about Park ICM’s 2018-2019 performance season. High-resolution photos of the performers can be obtained by contacting the Park ICM Director, Roger Kugler, atRoger.Kugler@park.edu or 816-584-6484 office.